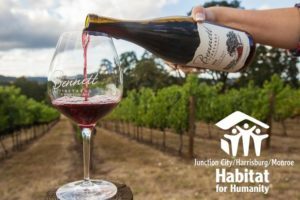 The annual Blues Build Benefit Concert returns to Bennett Vineyards & Wine Company to help raise funds to support the Junction City/Harrisburg/Monroe Habitat for Humanity in its effort to build houses for low-to-moderate-income families. 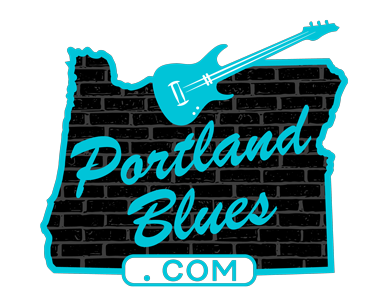 The concert is slated for Saturday, July 15, and this year’s line-up is packed with some of the top blues talent in Oregon. Performances at the Blues Build Concert will start off with Barbara Healy & Groove Too at 3:30 pm, followed by Paul Biondi & Skip Jones at 5:00 pm. Blues Music Award nominee Karen Lovely will take the stage at 6:30 pm and The Hank Shreve Band will close out the night starting at 8:00 pm. Tickets are available online at Eventbrite.com, $30.00 advance, or they may be purchased at Bennett Vineyards & Wine Company, the Gridiron Sports Bar & Grill in Harrisburg or the Habitat for Humanity ReStores in Junction City, Corvallis, and Eugene. Admission is $35.00 at the gate. Bennett Vineyards & Wine Company is located at 25974 Highway 36, Cheshire, Oregon. Gates open at 3:00 pm. This is a non-smoking venue. You’re welcome to bring your own lawn chairs and blankets, but please leave your pets at home. Food and beverages will be available for purchase, but please no outside alcohol. Also, please respect our artists’ work — no recording of the performances!